What a show! For the first time in years, the Primetime Emmy Awards were an exciting, entertaining, interesting show to watch. Shows that deserved to win won (Modern Family, Mad Men), actors who’ve been due for a while finally got their shot (Aaron Paul, Jim Parsons) and there were actually some surprise winners (I’m still trying to figure out who or what an Archie Panjabi is). Perhaps it’s because I am still a 14-year-old fangirl at heart, but I thought Jimmy Fallon did an excellent job hosting, with the right mixture of his bizarre Late Night humor (his intro for – and subsequent hugging of – Tom Selleck) and his obvious overall enthusiasm for television (the opening, his musical farewells to 24, Law & Order and Lost). (And seriously, that opening? Kind of made my life tonight. Hurry and go YouTube it before they take it down, folks, it was ah-mazing.) The only real bummer of the night (besides COCO losing!) was the Miniseries/Movie segment which went on for about 1300 years (or like, 45 minutes). If there’s anything that can break me out of a blogging funk, it’s the Emmys (or as I like to call it: the Superbowl for TV nerds). 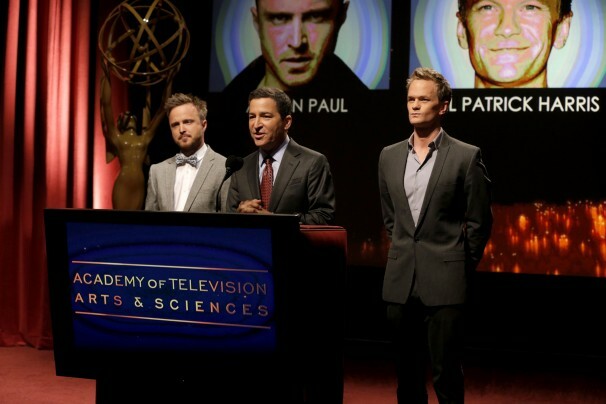 While I certainly don’t expect the 2010 ceremony to even come close to topping last year’s awards (Mad Men & 30 Rock continued their winning streaks, LORD WHEDON won his first trophy, and oh yeah the show was hosted by God, uh, Neil Patrick Harris), they definitely have a good start. 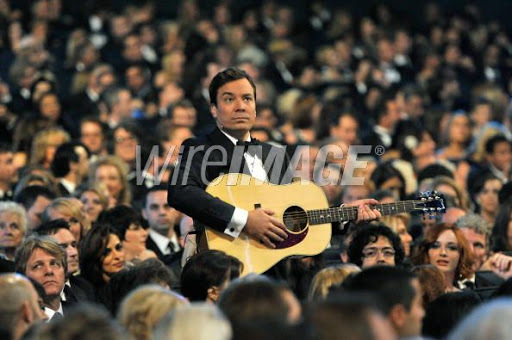 In an attempt to A) appeal to younger viewers and B) make you forget that had he not been fired from his Tonight Show, Conan O’Brien probably would’ve hosted this year’s ceremony, NBC has tapped Jimmy Fallon to host. While this decision does seem a bit premature, Fallon’s take on Late Night has often proved to be innovative, creative and most importantly, entertaining so I am excited to see what he brings to the show.